Who says you need to climb to the peak of mountains to enjoy a good breathtaking view, with Google Maps, all you need is a an internet connection and hopefully a big Full HD display to let you enjoy breathtaking sights from four of the Seven Summits. 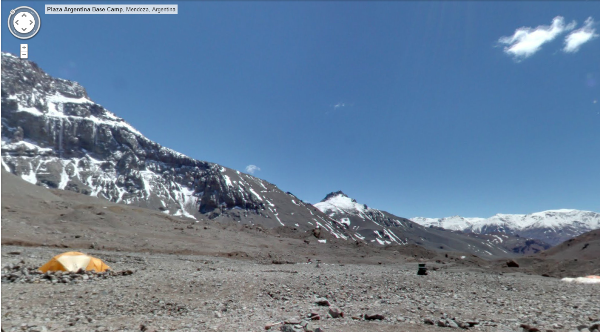 Google just announced that they have brought their Maps with Street View to some of the most famous mountains on Earth, namely the Aconcagua in South America, Kilimanjaro in Africa, Mount Elbrus in Europe, and Everest Base Camp in Asia. Of course, there’s nothing like breathing in the fresh air and the feeling of satisfaction of climbing up so high, but with Google Maps, you can instantly check out those places without going through all the dangers. Check out the peak of Mount Kilimanjaro, visit Mt Elbrus, see the base camp of Plaza Argentina, and even the ever popular Mount Everest now, or visit Google’s Blog to check out how the images were collected. The imageries can also be viewed on Google Maps for your Android and iOS devices.